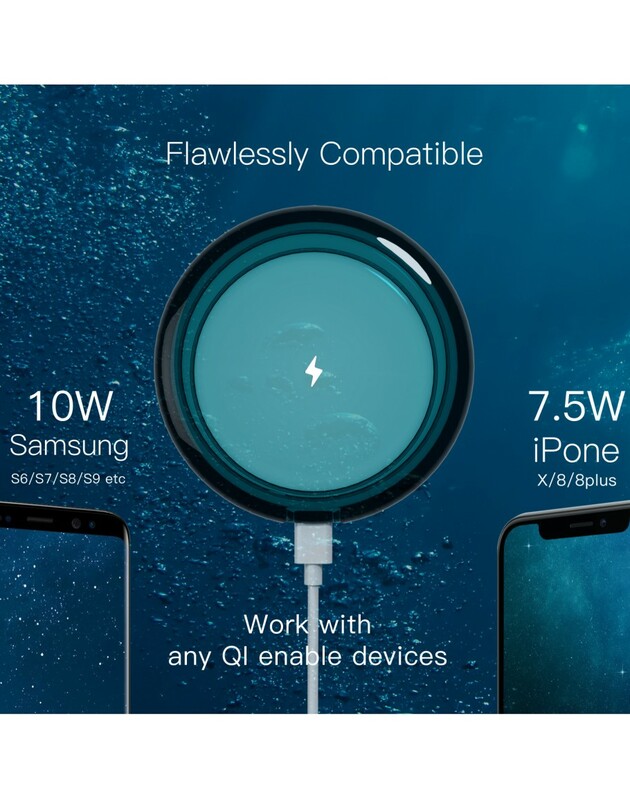 【COMPATIBLE WITH ALL QI-ENABLED DEVICES】 -- OPERNEE 5W slim wireless charging compatible with all QI- enable devices like Phone X, iPhone 8/ 8 Plus, Samsung Galaxy Note5/Galaxy S6/Galaxy S6 edge/Galaxy S6 edge+/Galaxy S6 active/S7/S8 and so on. Simply plug in power into our Micro USB cable and placed your phone on top of the pad, no cable or USB interface required!! 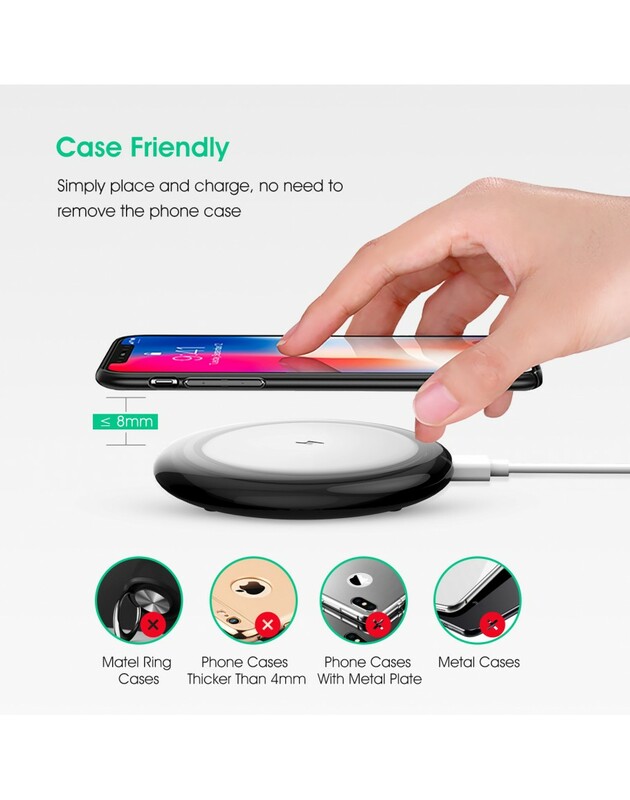 【SAFETY & WON'T DAMAGE YOUR PHONE 】 -- Our wireless charging pad is composed of A11 copper standard coil super-flux ferrite, and MOS field effect device. 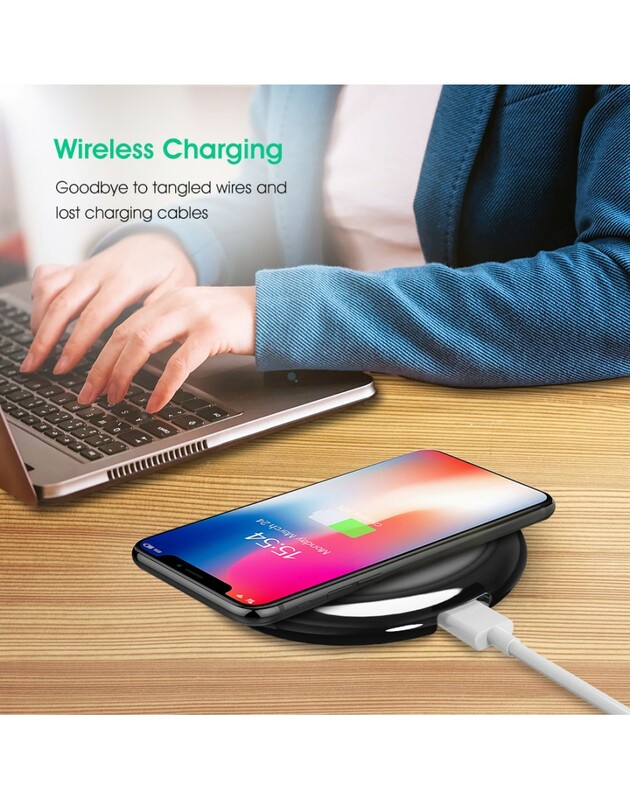 This standard wireless charging is built with over-voltage protection, overheating protection, over-current protection and short-circuit prevention features, which effectively protects your device and the wireless phone charger itself. 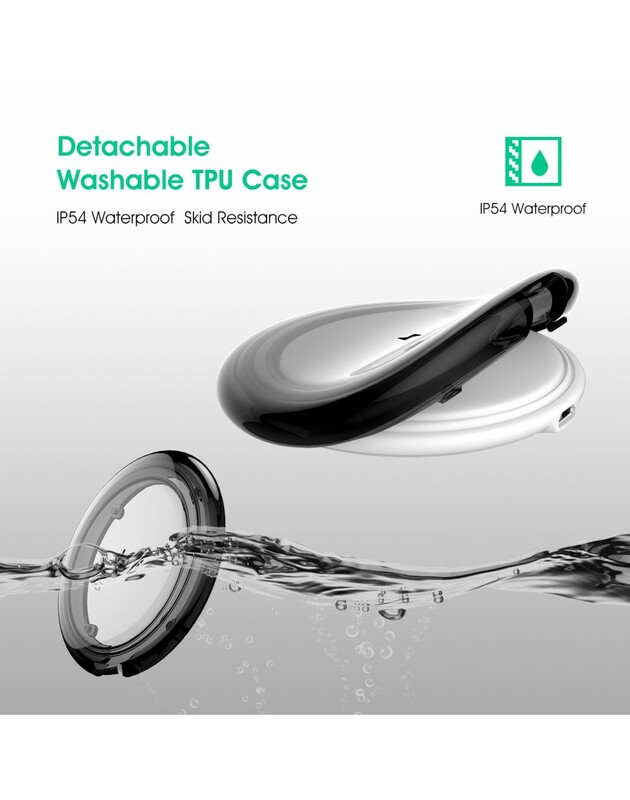 【DETACHABLE WASHABLE TPU CASE】 -- The portable wireless chargers is built with TPU material and meets IP54 Standard. 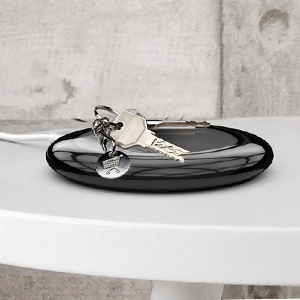 The soft shell will perfectly protect your wireless charger from scratch-resistant, waterproof, dust-proof, easy to clean, anti-slip, anti-drop, and anti-shock. 【IMPORTANT NOTICE】 -- Please note that any iron, metal, coins, IC Cards, bank cards, magnetic absorbers and other metal objects in the charging detective area may influence the charging speed. For a better-charging result, we recommend that you to remove the phone cover, or phone case should be less than 4MM thickness. 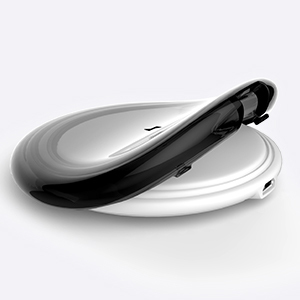 【60 DAYS MONEY BACK AND ONE-YEAR REPLACEMENT WARRANTY】-- The wireless charger station is approved by FCC, RoHS, and CE. We offer 60 days money back guarantee and 12 months warranty for the replacement. If you have any issues with one of our wireless charging, please contact us and we will make it right within 24 hours. ✔ IP54 waterproof skid resistant,scratch-resistant, dustproof, anti-slip, anti-drop and anti-shock. 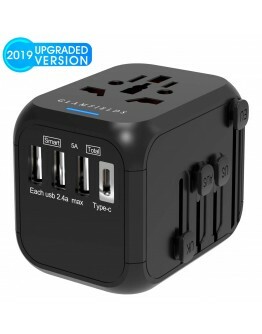 ✔ Temperature, power monitor for safety to protect your phone and wireless charging. 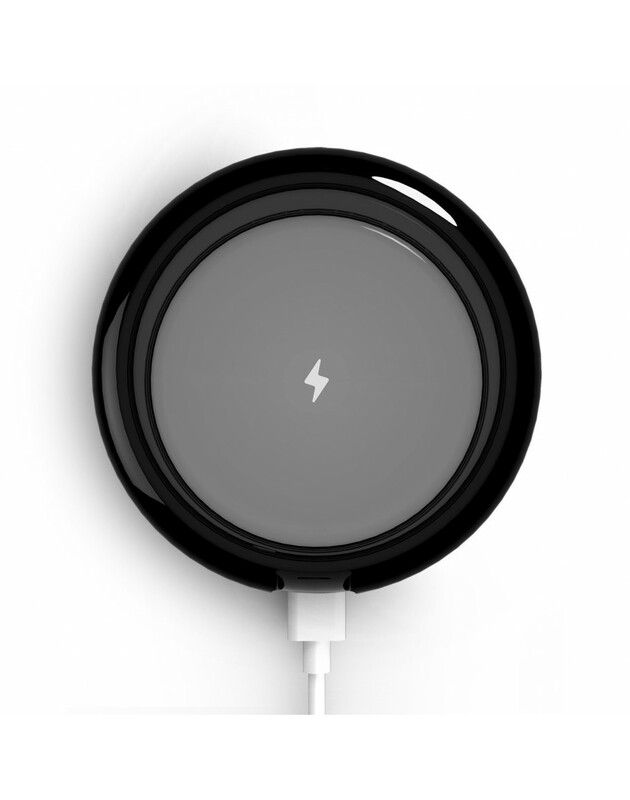 ✔ LED indicator light to let you know about the status of your charging! ✔ Say goodbye to cables or USB interface require，you will not be troubled by different phone cords anymore! ★ Using your device while charging or misaligning the device and charger may cause higher temperatures. 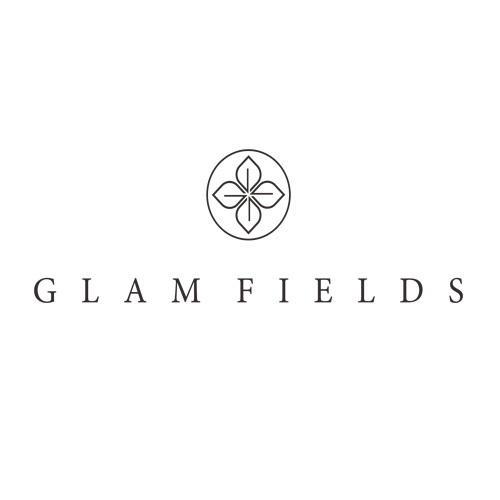 ★ Remove protective cases to ensure effective charging. 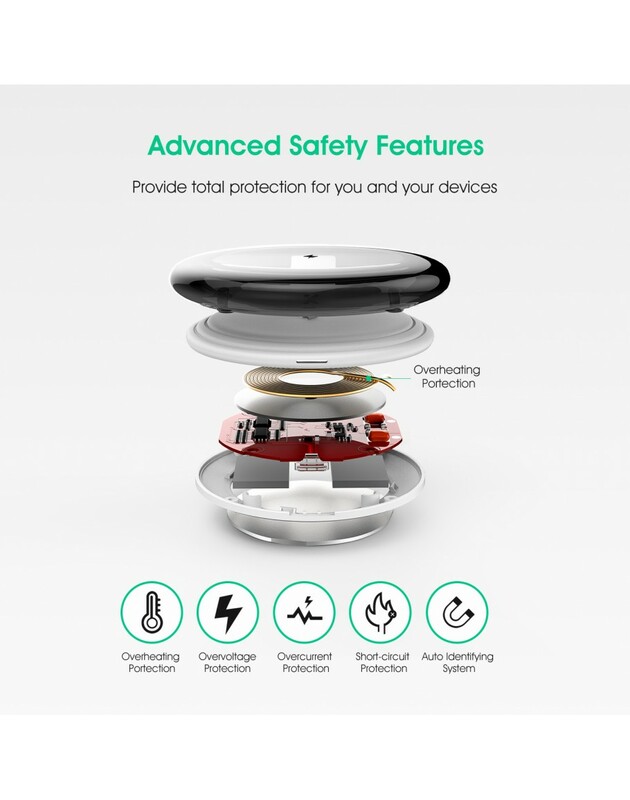 OPERNEE wireless charger is built with Patented TPU material and meets IP54 Standard, perfectly protect your wireless charger from scratch-resistant, waterproof, dust-proof, easy to clean, anti-slip. You can take it down and clean it if gets dirty. 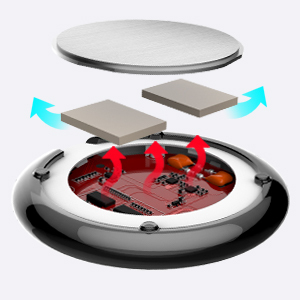 Adopt stainless steel heat sink, and thermal conductive silicon rubber pad speed up cooling for optimal charging. Support FOD foreign object detection function when metal foreign object is detected. 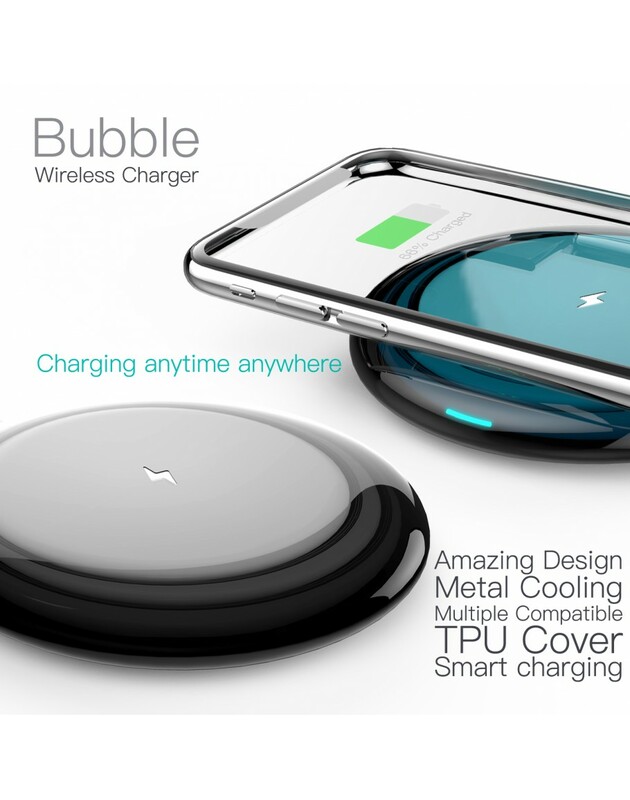 The bubble will automatically power off to avoid power loss and security risks.